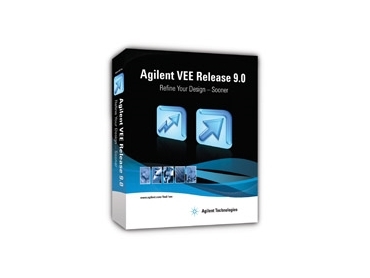 Agilent Technologies introduced the recent version of the Agilent VEE graphical programming software for test and measurement at European Microwave Week 2008. The recent version improves execution time, reduces programming effort, simplifies programme debugging and provides direct support of LXI devices and databases. Multithreading and multicore programming capabilities result in fast performance. Multithreading, which is created by multiple execution threads, decreases runtime, enhances response time and accelerates input/output (I/O) throughput. In a multicore PC, the new version of Agilent VEE, version 9.0, allocates individual execution threads to different CPU cores, increasing programme performance. Auto-completion of SCPI commands simplifies programming and eliminates the need to memorise command syntax. Conditional breakpoints improve debugging and a breakpoints window lets the user to explore and control all programme breakpoints. According to Agilent Technologies, Agilent VEE 9.0 graphical programming software complies with industry standards such as LXI. Version 9.0 provides direct access to LXI instruments through their built-in web interface and includes connectivity to databases such as Microsoft Access, SQL Server, Oracle and MySQL.